It’s the Holy Grail of cycling, the object every cyclist seeks. It’s the part of the bike which evokes most fear from newbies. Everyone wants a comfortable bicycle seat. Well, Halter’s doesn’t have many professional cyclists as customers, but I think I can say that if we did, they would not want to spend seven or eight hours a day perched on a seat which was torturing them. If you’re new to cycling and buying a new bike give the seat a chance. 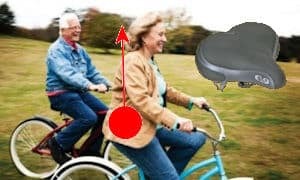 A reputable bicycle manufacturer is going to fit the seat that’s going to suit most people who ride a particular bike. They want you to buy it after all. It’s likely that your whole body will feel it’s getting a workout the first few times you ride it. The same goes for your backside. If it continues to be uncomfortable get back to us. At least you’ll be able to tell us in what way it’s bothering you and we can work from there. 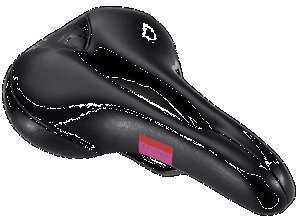 Check your current saddle is correctly adjusted. Most people find a level seat or slightly nose down is best. This assumes your bike is the correct size and type for you. If it’s not then comfort is going to become a more remote goal. 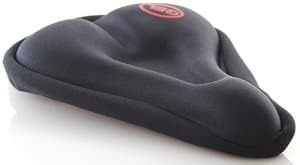 If you’re looking for a new seat for your old bike and thinking fatter and squishier or adding a gel cover is the way to go, think again. To be rather indelicate, do you think growing a new layer of fat on your backside would make your present seat more comfortable? No, I didn’t think so. Big, wide, cushy seats have a purpose, but are not necessarily best for you. Most seats in a bike shop have varying amounts of gel, a resilient plastic which may help ameliorate shock from the road. Quality of gel is important. Better quality gel may appear and feel thinner but may have better shock-absorption characteristics. If you’re looking for a new seat, bring your bicycle in so you can try out one or two around the parking lot before purchase. Be prepared to describe the issues you’re having with your old saddle. We’re bike shop professionals here … We’ve heard it all. 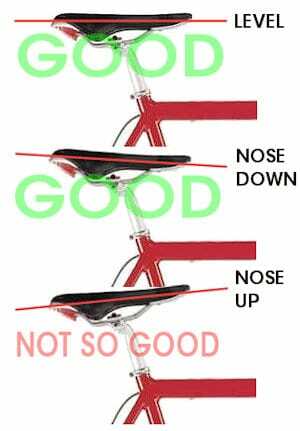 Better still, bike seat issues can be best addressed by a full professional bike-fit which will address your whole position and stance on the bike before settling on a new seat. This service is free with the purchase of a new road bike from Halter’s. Our experienced bike-fitters will further induct you into the mysteries of ischial tuberosities and other arcane stuff, all of which will enhance your comfort and, thus, your performance. It’s hard to believe, but anyone would find a concrete bicycle seat comfortable if its the right shape in the right place. Halter’s stocks a full range of quality seats by Giant, Terry, SMP, Brooks, fizik and other good brands from around $40 and up. One will be right for you. Bike-Shaped Objects : BSOs – Toys or Bicycles? The other day I was idly surfing the online catalog of a well-known BigBoxMart* store and decided to look at what was on offer in the way of bicycles. I was rather taken aback to find even adult bicycles in the TOY section of the store, although on reflection I suppose I had no reason to be surprised at all. Remember, BigBoxMart sells “bicycles” in its toy department! And I’m not just talking children’s bikes … I’m talking adult cycles too. Halter’s is a bicycle shop. We sell bicycles. 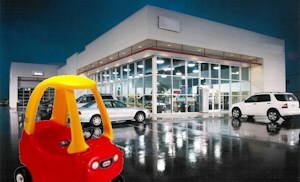 We do not sell toys! A bike shop quality child’s bicycle is designed and built from the same components full size bicycles are constructed from with no compromise for quality or safety. A bike shop does not regard a bicycle as a toy. It’s a transportation device designed and built up to meet a specification which can be ridden safely and without failure on the nation’s roads and by-ways. The bicycle will be built of quality components which will remain serviceable for many years. And even then replacement parts will continue to be available. I guess we know the answer to that one, right? We love our customers to come back and see us, but not if it’s because they’re going to complain about some shoddy part we sold them which was bound to fail. 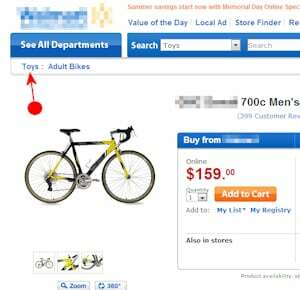 But let’s assume you’ve brought in your adult bicycle purchased from a toy store, erm … I meant BigBoxMart. It needs tuning and a couple of replacement parts. Okay, I’ve dealt with the cost of them, but it also requires adjustment to enable it to ride efficiently and safely. Here’s a bike shop trade secret; it takes much longer to service and adjust a cheap, nasty, BigBoxMart toy bike than the most expensive and sophisticated bike store bought bicycle. The bike store bought bicycle will be built by skilled and experienced mechanics, have bike industry quality parts which are well-designed, durable and quickly and accurately adjustable which will stay in tune and last. The toy bike will be assembled by some kid after school, from non-standard parts, frequently leave the BigBoxMart with stripped threads, bent and broken components before you’ve even ridden it, plus major assembly issues like having the fork on back-to-front, which makes for a dangerously unstable bike and similar safety issues. There is little scope for accurate adjustment and even then the work may only last half-way though your next ride. And you still want us to fix this? If you’re in the market for a bicycle, for yourself or a family member get on down to your local bike shop and get some advice about purchasing a safe, quality bike which is unlikely to have issues, but if it does, the bike shop will address for you. Shop around for sure, but if you want a safe, quality bicycle, then buy from a local bike shop. Feel free to buy a toy bike from the toy shop, but don’t be surprised when your local bike shop quotes an economic price for a safe, quality repair or service. In reality, if you’re a conscientious parent who maintains your child’s bicycle a cheap toy will cost you as much in the long run as a quality child’s bicycle, except it’s going to spend a lot of time in the workshop. 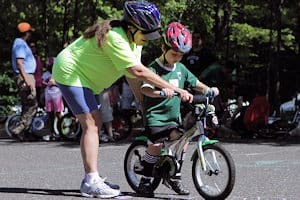 Learning to ride a bike? 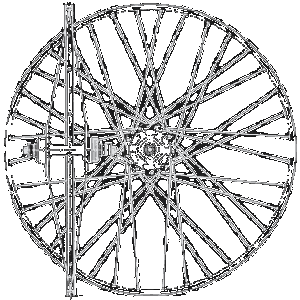 Most modern bicycles use variations of a design called the dérailleur; literally, the de-railer, a device which forces the chain from one cog to the next in a very unsophisticated and crude manner. In engineering terms, it really shouldn’t work … but it does. Modern dérailleurs use all manner of tooth profiles, chain design and indexing devices to enable this to happen as smoothly as possible. But, just as changing gear on a manual gearbox car needs finesse and an understanding of the principles involved, compared to say, an automatic gearbox, changing gear using dérailleurs on a bicycle also requires a degree of involvement from the rider, more than just pushing the button and crunching on regardless. Changing Gear: The principle of the dérailleur depends on the chain moving forward through the gear change, so when changing gear, continue to pedal forward. 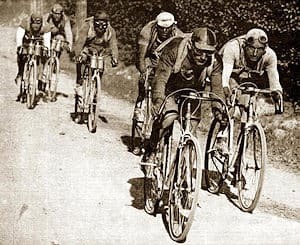 However, it’s really helpful to the change if pressure is taken off the pedals so that for the duration of the procedure the feet just spin until you sense the gear has engaged and take up the effort again. There are occasions when this isn’t possible, but just assessing your gear needs ahead of the point where you have to change facilitates a smoother procedure. This particularly applies when you’re changing down to a lower gear, for example, on a hill, or changing to an easier gear just before coming to a halt. The front dérailleur usually needs the most practise to use efficiently because the chain has to make such a large jump from one chainring to the next. The thing is, you don’t really need to know as long as you feel comfortable and can maintain a good pedal cadence and the drive runs smooth and sounds quiet. But there are some gear combinations to avoid. 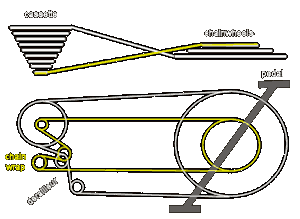 Cross-Chaining: The diagram shows the top view of a typical set up. I’ve indicated the chain line from the extremes of the chainwheel to the cassette. Although exaggerated, it demonstrates the degree of deformation the chain has to cope with in those gears. 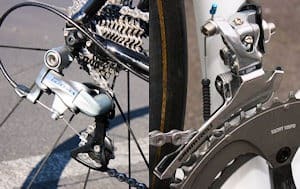 This tends to cause the chain to track badly, run noisily and the dérailleur mechanisms to have to contend with excessive chain wrap, extension and tension. 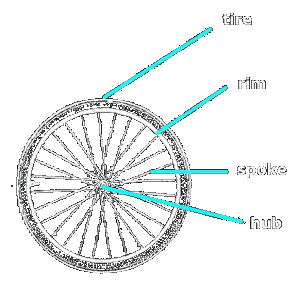 In practice, try to restrict your gear choices as in this diagram; large chainwheel to outer range of sprockets, small chainwheel to inner sprockets. Modern gear indexing systems control the movement of the dérailleurs, often to a tolerance of 0.1mm, less than 1/100th inch. 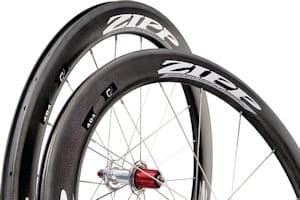 One of the prime reasons for gears to go out of adjustment is cable stretch, particularly with new cables, so if you’ve recently bought a new bike, or installed a new cable, return to your LBS to have the adjustment done if you can’t do it yourself. 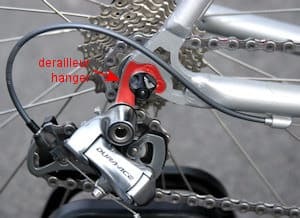 Another frequent cause of poor shifting can be a bent dérailleur hanger, the component which connects the rear mechanism to the frame. If your hanger is bent you will need to visit your LBS where they will have an alignment device which can check and adjust the hanger. The hanger will need to be adjusted in three planes so it’s not really a job you can do at home. 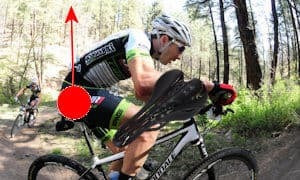 But adjustment can also be affected by using excessive force, either through the gear changer or through the pedals while changing gear causing elements of the drive to distort or just go out of line, so learn to coordinate your changing/pedaling skills as outlined above. A well adjusted gear mechanism will produce easy and smooth changes. However, it does need some input in terms of timing, sensitivity and skill from you, the rider. 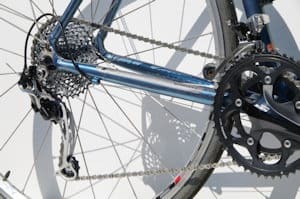 Tags: bicycle gears, cassette, chainrings, chainset, changing gear, compact double chainset, cross-chaining, dérailleur hanger, dérailleurs, FAQ, front dérailleurs, index gears, LBS, rear dérailleurs, triple chainset, what is the right gear?